Insadong has always received high recognition for authentic Korean food with a diverse menu offering extensive lists of hot pots, BBQs, noodles, and unique Korean dishes. The last time I came, I was disappointed with how slow the servers worked and that they needed more workers. I did not return for awhile until a few nights ago and I was very pleased with how much they have improved. Justin and I walked in with hungry stomachs and luckily we got a table right before the line came in. 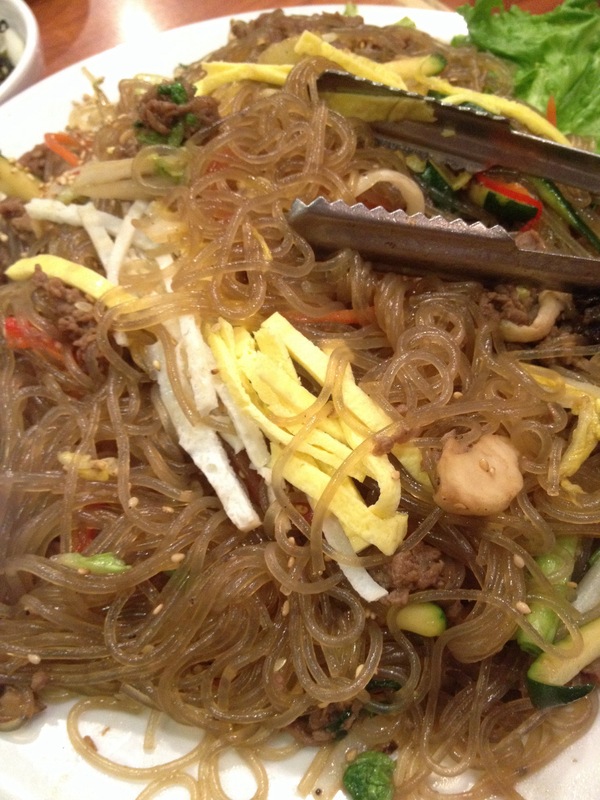 If you guys remember from my previous Korean dining experience, it was absolutely treacherous. Insadong on the other hand completely topped it. We were served a variety of mini bites or appies to start us off – pickled radish, nori, potatoes, kimchi and bean sprouts. The amount of flavour and texture offered in each plate were delectable and opens your taste buds before and in between entrées. In addition, you can refill any of these as many times as you want and you don’t get charged. 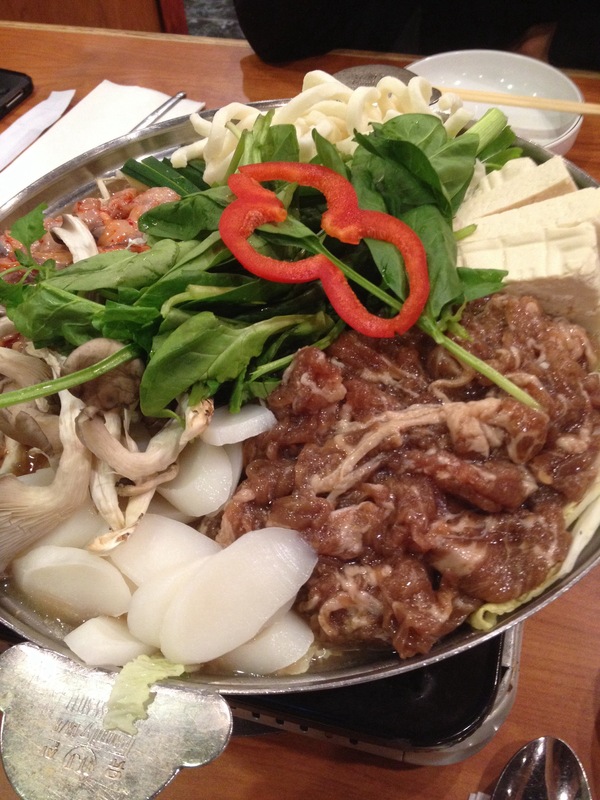 Boiling up a pound of goodness, we have the Bulgogi (marinated beef), Octopus, Rice Cakes, Tofu, Udon and Vegetables Hot Pot (CAD29.99). No winter is complete without hot pot to warm your soul. Surprisingly this is the “small” size at Insadong and it was jam packed with all sorts of goodies. Also, this is probably one of the most filling and satisfying Korean hot pots I have had in BC. 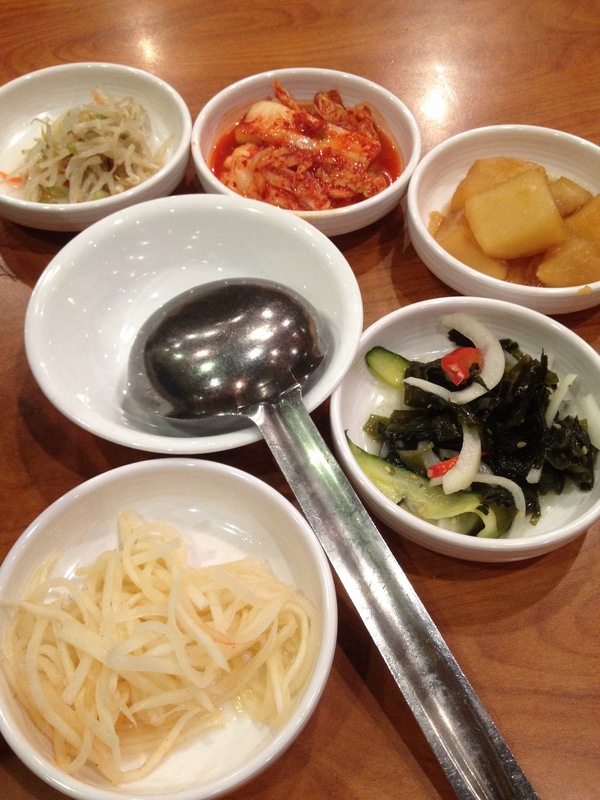 Everyone who has tried Korean food but has never ordered the Japche (CAD13.99) is seriously missing out on some delicious and traditional Korean cuisine. Mixed with a dash of sesame oil, this noodle dish is a simple yet flavourful choice.